April 2nd, 2019 | Comments Off on Specific Relief Act, 1963, S.37–Injunction–Release Deed—Plaintiffs, daughters, were 4th generation in lineage-Any release deed in respect of suit property executed by Karta, who proved to be ancestor can always be challenged during his life time. 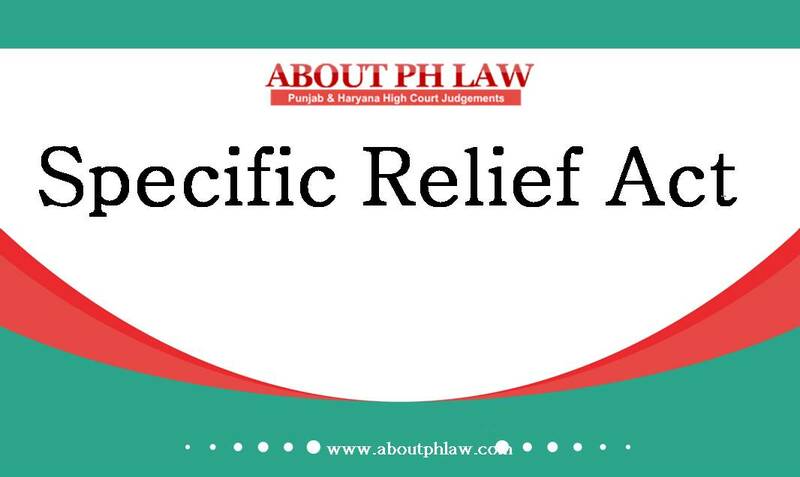 Specific Relief Act, 1963, S.34–Suit for Partition-Oral partition without causing entry in the revenue record or the records of the revenue authority would not confer joint ownership. March 29th, 2019 | Comments Off on Specific Relief Act, 1963, S.34–Suit for Partition-Oral partition without causing entry in the revenue record or the records of the revenue authority would not confer joint ownership.